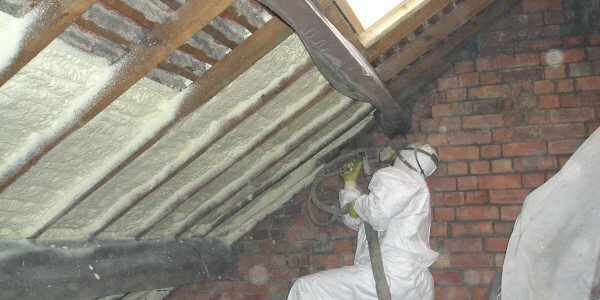 SPRAY FOAM INSULATION, SAVE UP TO 45% ON YOUR ENERGY BILLS! When breaking ground for a new home or business, there are so many things to take into consideration. It is easy to get focused on the end result and sometimes overlook some of the internal aspects. We have found that things like insulation can be trivial in nature, but have the biggest impact. 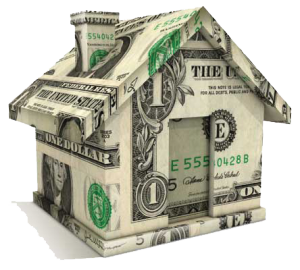 The efficiency gained from your insulation choices can offer savings in many other area. Because of the thermal efficiency gained from our product offering, you can expect the needs of your HVAC (Heating, Ventilation, Air Conditioning) to be downsized. This savings goes right to your bottom line. You have made the decision to add on or improve your home. We can offer peace of mind that your investment can meet it's full potential by reducing load on your heating and cooling system. Our technicians can work around your existing structure without the need for unbudgeted expenses. These products can be safety installed to offer the same comfort to your home while maintaining a planned budget. These savings can be used to enjoy your new space and not have to pay to maintain the comfort of it. If you live in a drafty, older Pennsylvania home, spray foam insulation is the answer. Our spray foam insulation keeps the temperatures in your home more consistent and comfortable all year long. As your home’s temperatures become more consistent and air leaks are sealed, your HVAC unit won’t have to work as hard. Since your HVAC unit accounts for 50% to 70% of your utility bill, reducing the work that your unit does reduces your energy waste. If you’re like most Americans, you spend upwards of $1500 each year on utility bills. What if you could cut that cost in half? That’s what the Department of Energy estimates that a well insulated home saves. If you’ve got a new baby, insulating today could pay for her first year in college down the line! If you don’t, you’d have enough for a sweet ride in about the same amount of time. That’s right. 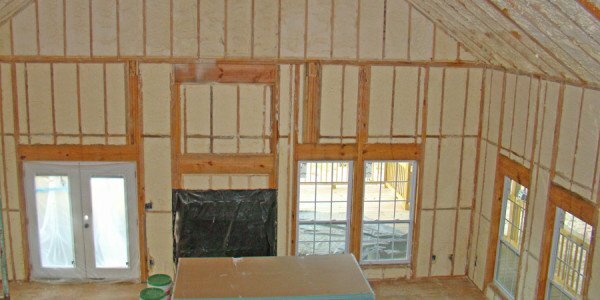 Our spray foam insulation offers protection against moisture, preventing the growth of mold and mildew. It also seals up lighting fixtures, ductwork, and other areas where unseen cracks and tears lurk, allowing pollen, dust, and other allergens to spread throughout your house. All while providing the most reliable insulation! In the recent past, we enjoyed business growth of nearly 40%. With this, we made the decision to move from our existing facility of 1,000 square feet to a new/retrofitted facility of 7,700 square feet. The products, techniques, application and industry knowledge used by Spray Tight Insulation, allowed us to maintain our current heating and cooling costs. This was even with an increased square footage of over 6,000 square feet. We would strongly recommend the services of Spray Tight Insulation to our friends, colleagues, customers and business partners. With the needs of our growing family, my wife and I decided to finish the attic area above our kitchen for additional living space. Typically, the temperatures in this area exceeded 140 degrees during the summer months. Spray Tight Insulation allowed us to achieve an ambient temperature during the hottest time of the year of 80 degrees. This was done sheerly through the open cell insulation (6`` application) and not through the controls of a HVAC system. Whether you are looking to convert existing space or new construction, we would recommend the services of Spray Tight Insulation. Spray Tight Insulation is a family owned an operated company. If you are looking for small town service with long lasting results, look no further. We can put the finishing touches on a home or commercial addition, or provide an entire insulation package for new construction. The first step is easy. Contact us and we will make our schedule match yours. We will sit down and tailor a package to meet your needs, your schedule and stay within your budget.